Do your thighs rub when you walk? If so, you may have holes in your inseam. 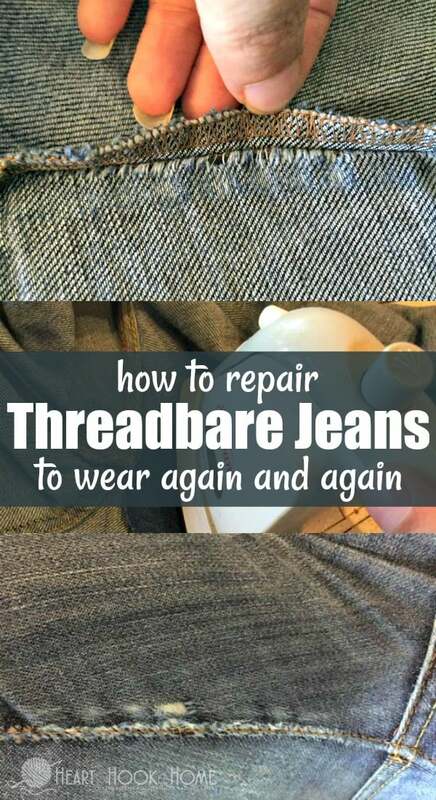 Read on to learn How to Repair Threadbare Jeans. 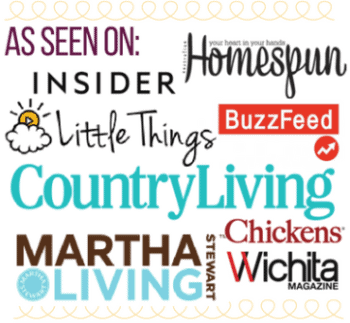 No shame from your fellow thick-thighed sister. 😉 If you’ve got thighs, be proud! We worked hard for these, even if they DO rub the seams threadbare along the upper inseam. Instead of throwing away my jeans, I repair them and keep on wearing for months or even years if I treat them well. 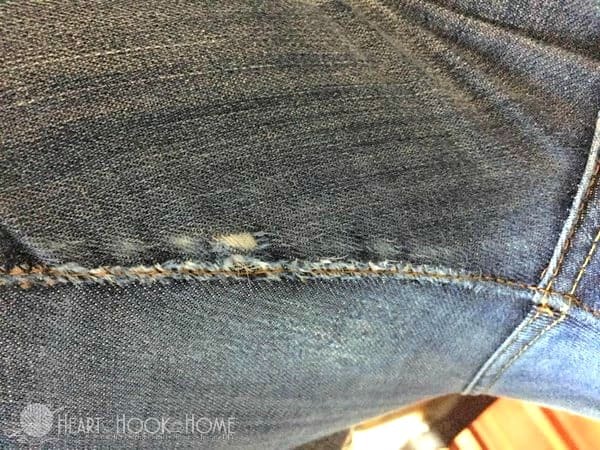 As I am repairing my favorite pair of jeans today, I’ll walk you through the process. 1. Set your iron to “cotton” setting, and let it warm up. 3. 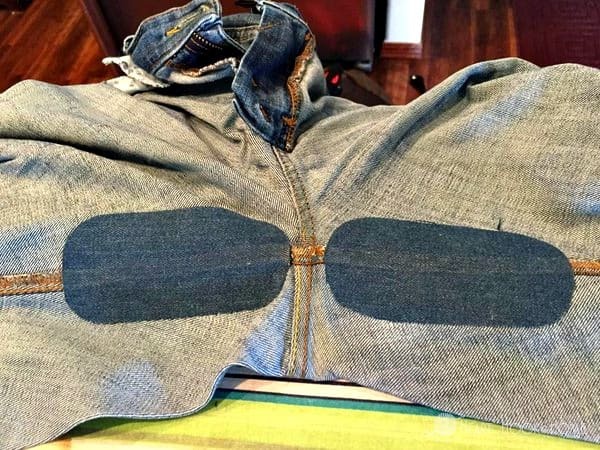 Turn your jeans inside out, and lay flat and open on the ironing board. 4. Position your patch making sure that ALL of the threadbare portions are covered (and then some). 5. Lay the shiny side of the patch down on the area to be mended, and iron back and forth for 30-60 seconds. 6. When finished, move on to the other leg. 7. 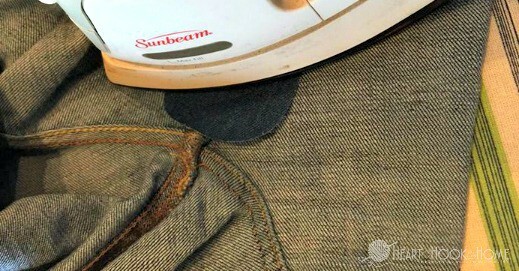 After ironing both patches to their respective new homes on your jeans, let them cool for a few minutes. 8. 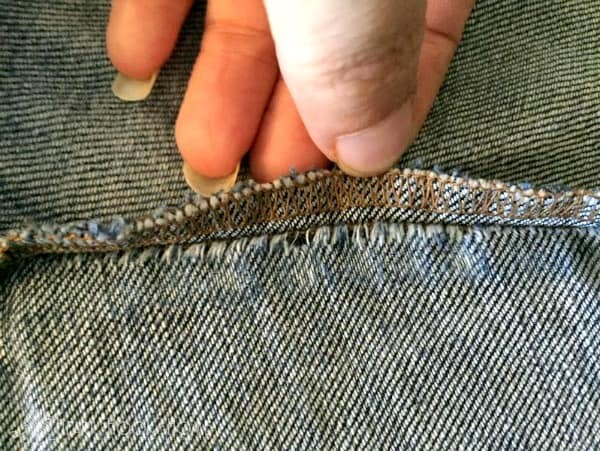 Test the edges with your fingernail to see if they’ll separate from the denim and if necessary, iron again. 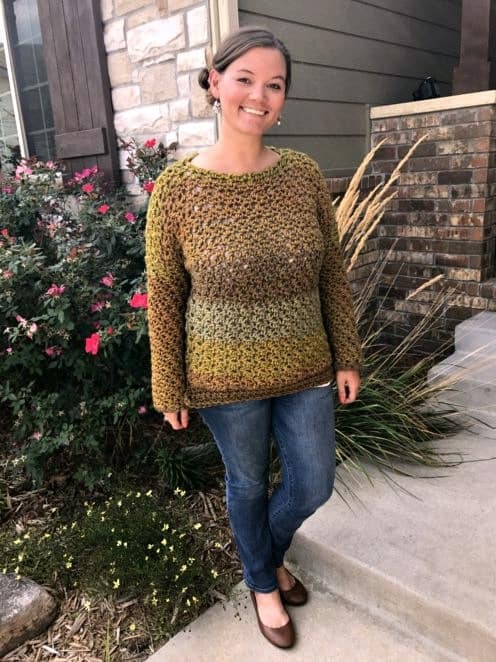 Turn jeans back right side out, and voila! You have a perfectly functional pair of jeans to keep on wearing over and over and over. Each individual patch individual patch – can repair one pair of jeans. While these patches may not be the end-all-fix-all for a long length of time, it sure is better than throwing those jeans out right away. Especially if they are your absolute favorite jeans and you’re only throwing down a buck to salvage them. Love it! My mom used to use these patches all the time, and I had completely forgotten that they even exist!! Thank you for the great reminder, and a way to salvage my jeans!